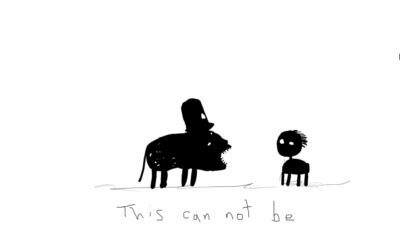 Organizers of Cartoon Movie — Europe’s premiere animated feature pitching and co-production event — have revealed the finalists for the 2017 Cartoon Tributes honors. 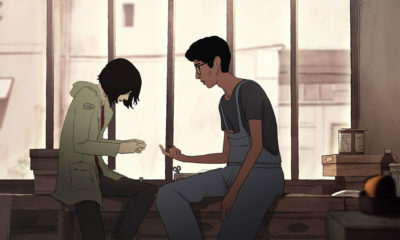 The awards recognize outstanding contributions to the development of European animation in the last year, in the categories of Director, Distributor and Producer of the Year. + Michael Dudok de Wit (the Netherlands) for the The Red Turtle,which received “Un Certain Regard” Special Prize at Cannes Film Festival 2016 and was nominated for the European Film Awards 2016, César Awards and Academy Awards 2017. + Claude Barras (Switzerland) for My Life as a Courgette, which received several awards and festival prizes, including the César Award for Best Animated Feature and Best Adapted Screenplay, the Cristal Award for Best Feature and the Audience Award at Annecy International Animated Film Festival 2016, the Best European Animated Feature Film prize at European Film Awards 2016, and 2017 Oscars nomination. + Jean-François Laguionie (France) for Louise by the Shore, released in November 2016 in France. This year, Laguionie will make a Cartoon Movie presentation of The Prince’s Journey, which will be produced in Angoulême (under the aegis of the Pôle Image Magelis) and distributed by Gebeka Films. + MUBI (United Kingdom), a global SVOD player available in over 200 territories worldwide and with 8 million subscriber. 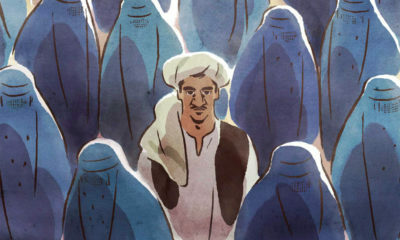 Notable titles include A Town Called Panic, Waltz with Bashir and The Three Robbers. 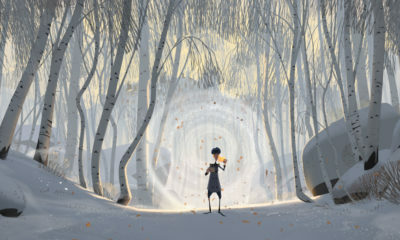 + Angel Films (Denmark), the Scandinavian countries distributor of My Life as a Courgette, Phantom Boy, Ernest & Celestine, Pinocchio and Tad, The Lost Explorer. + Urban Distribution International (France), the sales agent for Long Way North, Cafard, and two films which will be pitched at Cartoon Movie 2017: Zombillenium (in production) and Canaan (in development). + Knudsen & Streuber Medienmanufaktur, Ulysses Filmproduktion (Germany), Melusine Productions (Luxembourg), Den Siste Skilling (Norway) & Walking The Dog (Belgium) for Richard the Stork (to be released in May 2017 in Germany), directed by Reza Memari and Toby Genkel (Ooops! Noah is gone…), which has already sold to more than 70 countries and which celebrated its World Premiere at the Berlin Film Festival in February in the Kplus section. + Lupus Films (UK) & Melusine Productions (Luxembourg) for Ethel & Ernest, the animated film adaptation of the acclaimed graphic novel by English author and illustrator Raymond Briggs. + Rita Productions (Switzerland), Blue Spirit Productions & Gebeka Films (France), for My Life as a Courgette. 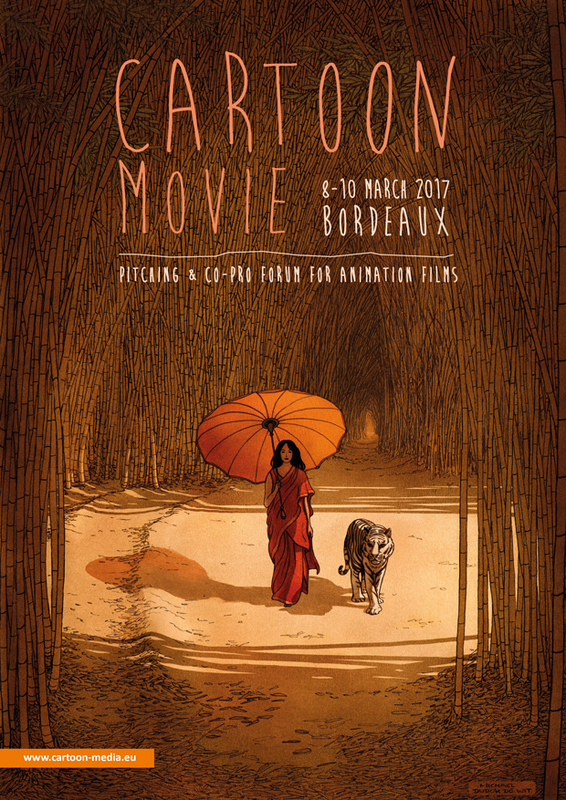 Over 800 professionals attending Cartoon Movie will vote on the final winners, who will be announced March 10 at the event, taking place in Bordeaux, France for the first time this year March 8-10. 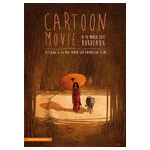 Cartoon Movie by CARTOON with the support of Creative Europe – MEDIA, CNC, Bordeaux Metropole, the city of Bordeaux and Pôle Image Magelis. Visit cartoon-media.eu for more information.